The saffron exported by the Company is organically cultivated in the higher reaches of Kashmir, the only saffron producing area in India. Kashmir has historically produced the best quality saffron in the world because of its fields are surrounded by snow capped Himalayan mountains. Kashmir is the best place for saffron cultivation because it has plenty of fresh water streams, cool dry air and calcareous soil which are ideal to grow saffron. The saffron plant produces by division of tubers. Each saffron field has to be replanted every four years. Harvesting of saffron is difficult and time consuming. The picking of the saffron flower has to start early morning before the rays of the sun touch the petals. The flowers have to be hand-picked and the saffron strands have to be separated the very same day. As many as 150,000 to 200,000 flowers are required to get one kg of saffron strands.A cultivator can manage to get a maximum of only 80 gms of saffron a day. Saffron flowers bloom only once a year and have to be harvested within two weeks of their blooming. Fields where saffron is cultivated cannot be used to grow anything else. This justifies the high market price for saffron. The best saffron comes from the current crop of the year and is known as fresh saffron. The saffron packets our Company exports always mention the year of cultivation and date of packaging. 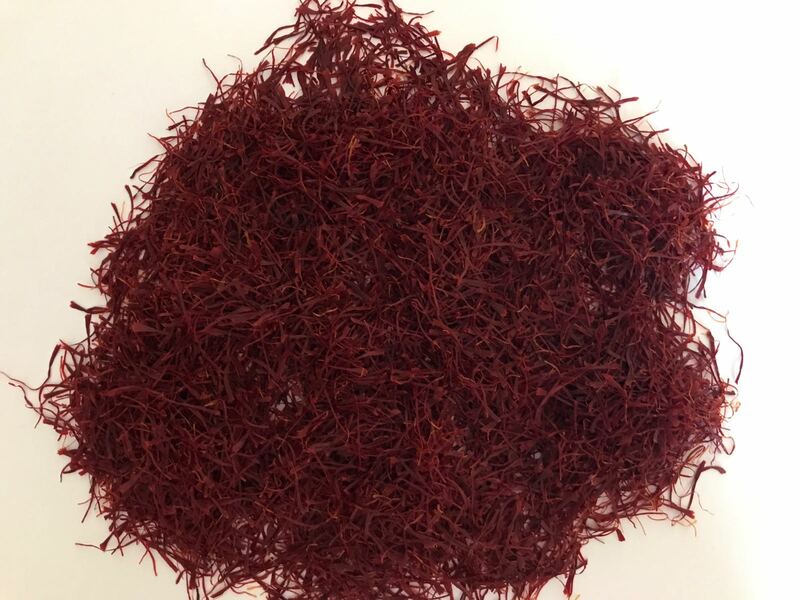 Kashmir saffron that our Company exports is of the highest quality and its distinctive features are its deep red colour and strong aroma. The red colour comes from the strands of the saffron flower which we do not mix with other parts of the flower as is done in lower grade saffron. If the uncut flower parts are mixed with saffron strands they make the saffron yellow. Therefore high grade saffron is judged by its deep red colour.